Well, Turner estates is a family run business with over 20 years combined experience in the Property sector. We are a well established estate agent who want nothing more than to do things differently, which is why we take pride in promoting our no fee service. Not only for your benefit but also ours as our goal is for individuals & families to feel like they're not being cheated or taken advantage of when selling, renting or buying a property. We believe our mix of traditional values and services along with a new age approach, for those looking to save that little bit more makes us the perfect agent for you. We are an independent growing business meaning we prioritise you and you only. Focusing on all your needs and providing you with an all round enjoyable experience. Our office is open from 9:30-5:30 Monday to Friday and 9:30-6:00 on Saturdays, so feel free to come in and have a chat, whether you're unsure about what you want to do or if you already have something in mind. 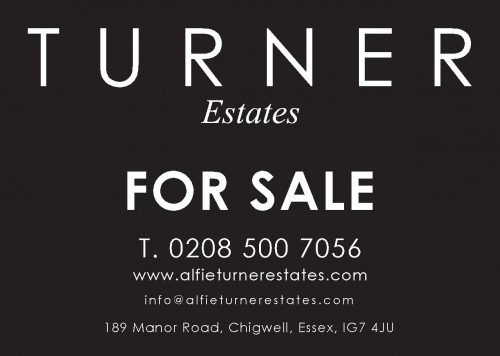 Alternatively if you're looking for a free and accurate market valuation please give us a call on 0208 500 7056. We welcome you with open arms as we strive to put more money in your pocket.